Emerging Tech Ed: Ed-Puzzle - How to Flip your class ... NO EXPERIENCE NEEDED!! Ed-Puzzle - How to Flip your class ... NO EXPERIENCE NEEDED!! What is Ed Puzzle? 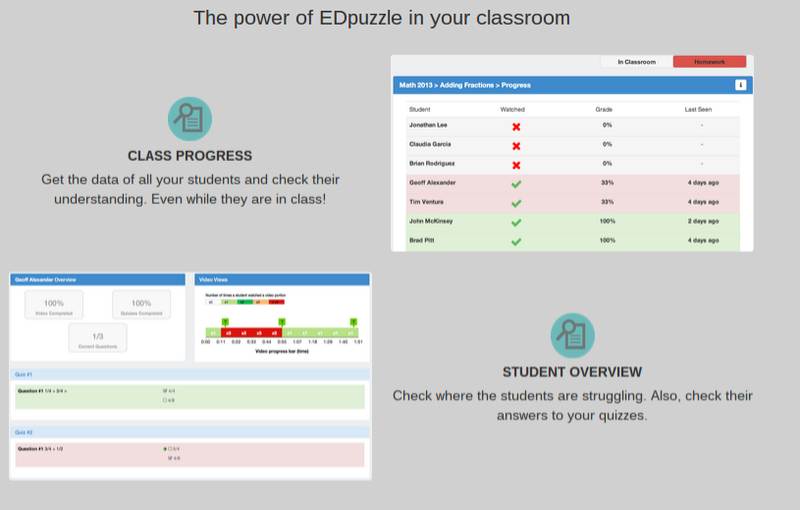 Edpuzzle is a site that allows users to select a video and customize it by editing, cropping, recording audio, and adding questions to make an engaging presentation or lesson. If you have never flipped a class before, this is an EASY fun innovative way to FLIP without having to record YOUR OWN videos!